Powered by your choice of NVIDIA®, AMD or NVIDIA graphics with 120Hz 3D panel option. Supports Blu-Ray and DVD too. It rarely disappears for a minute or so. If I plug in an HDMI TV it doesn’t have the problem. There is a problem either with the connection of the video cable between the motherboard and the display at either end, the cable itself (does the problem come and go if you move the lid back and forth?) or the screen itself. Scroll to p.71 to view the necessary pre-requisite steps and then the procedure to remove / replace the display. This will help you to first gain access to where the display cable is plugged into the motherboard to check that it is seated properly. If it appears to be OK then you’ll have to continue with the procedure and remove the display cable and the display to investigate further. Here is a link to just one supplier of a replacement screen. It is not a recommendation to use them. It is shown just to give an idea of the cost of the part. There are other suppliers online that may suit you better. 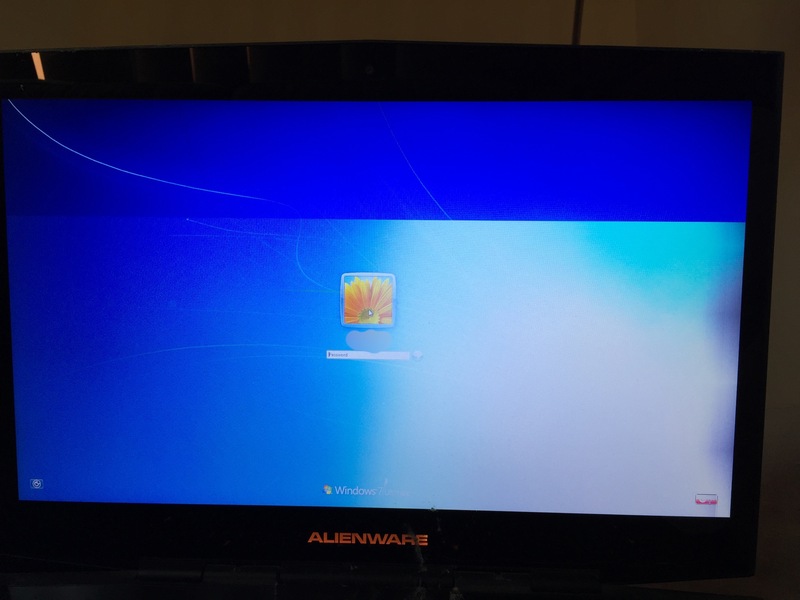 Just search for Dell Alienware MX17xR3 lcd screen to get results. I was going to try replacing the cable but while searching for one I stumbled across this cheap monitor. Replaced it and it’s good as new.